For Sale. 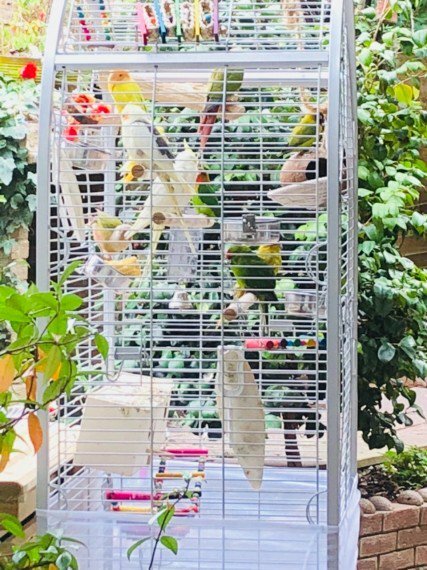 Used indoor large bird cage with birds. feeders. nesting boxes and much more. Price list. 1. Indoor cage only 130 2. Nesting Boxes 9 each 3. 1 Conures 65 4. Pair of Lovebirds 70 or 45 each .I have two pairs. 5. 1 cockatiel male 65 6. 1 ringneck female parrot 65 7. 1 Chinese quail 20 I will take 470 for the whole lot. Collection only. I live off Hanger Lane roundabout which is NW10. Please call me or text on . Best wishes Keerat.